This is what happens when you buy Armenia without looking carefully! At a show, I bought a small batch of used First Yessayan stamps. I checked the overprints and the cancellations on the stamps and they all looked OK. So I bought the stamps. Later, when I looked more closely, I realised that several of the stamps overlapped on pieces, too many for coincidence. In addition, the brown paper on which they were stuck did not look right - it was old but not a type I had seen for 1920s Armenia. Some single stamps on this brown paper also did not look quite right. So I scanned them all and this immediately showed that in all cases the parts of the cancellations on the brown paper were faked - they were drawn in by hand. So why would you stick genuine stamps on bits of paper and fake a cancellation? My guess meant that I had to soak the stamps off the paper to find out. 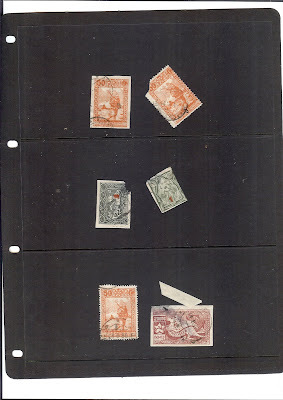 The answer is shown on the right hand illustrations: the overlapping allowed someone to hide damaged stamps. See the top two rows on the right. 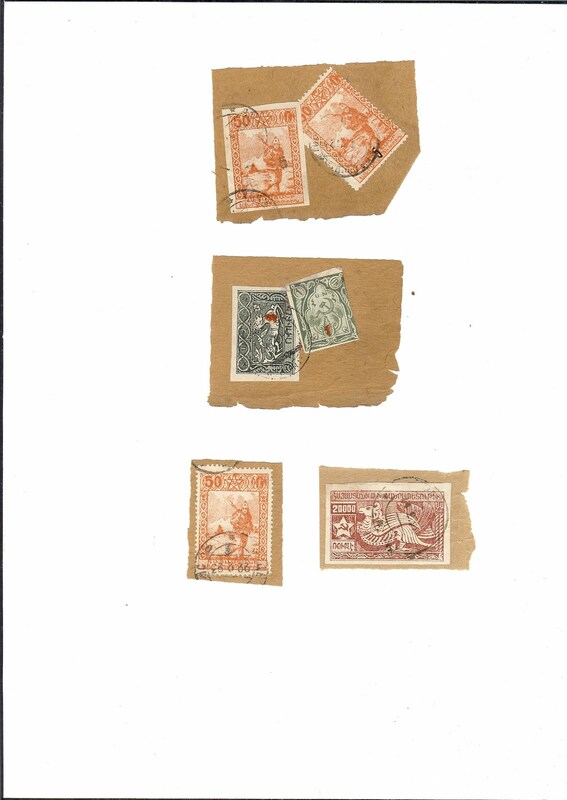 Using a paper backing also disguised damage and repair work on the two single stamps at the bottom. Bottom right, the "3" on 20 000, the stamp was badly thinned and torn but this was hidden by backing it with a piece of sheet margin from some Imperial Russian sheet with lozenges and then putting the stamp onto the brown backing. The stamp bottom left also revealed some labour-intensive work: at the top you can see that the perforations are not quite aligned. 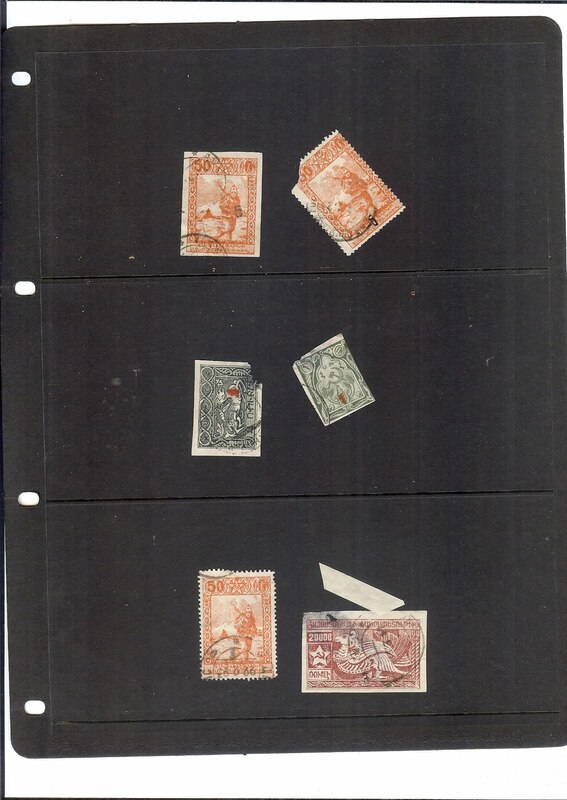 This is because the whole top right corner has been inserted from another stamp to repair damage to the main stamp.